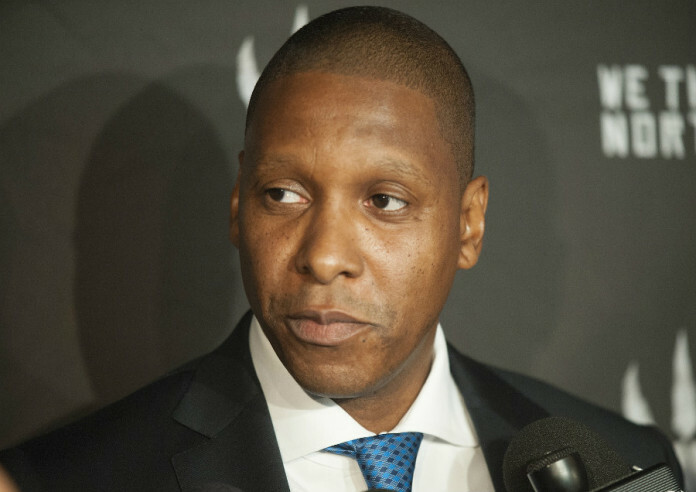 Is Masai Ujiri the one who got away? Did the Nuggets throwaway their chance for success by letting the reigning NBA Executive of the Year leave for Toronto? Well, that’s what the numbers seem to say. In the three years that Ujiri manned the Nuggets front office, the team had a winning percentage of .630. Since, they’ve fallen to .393. Likewise, from the moment Ujiri entered the Raptors front office, they’ve seen a massive uptick: .343 in the three years before his arrival and .596 since. So in the last six years, between the Nuggets and the Raptors, Ujiri’s teams have gone an impressive 254-159 (.615) with him at the helm and 151-262 (.360) without him. That has to say something, right? Ujiri came to Denver under what were quite possibly the most difficult circumstances for any first-year General Manager. Not only was he tasked with building a team that could possibly contend for a championship, but he was asked to do so in the midst of Carmelo Anthony‘s trade demands. From the second he first sat behind his desk, Ujiri’s No. 1 priority was finding a profitable trade option for the Nuggets’ superstar — a task most considered impossible. But he did it, just about as well as anyone could have hoped for. 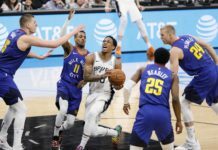 Ujiri and the Nuggets brought in a rag-tag group of players — which included Kosta Koufos, Wilson Chandler, Danilo Gallinari and Timofey Mozgov — who went on to help form the 57-win team that won Ujiri the NBA Executive of the Year award. A year later, he somehow snuck into the Dwight Howard–Andrew Bynum deal, bringing Andre Iguodala to Denver as part of the four-team trade. Ujiri also selected Kenneth Faried and Evan Fournier with late first-round picks, and both have grown into valuable NBA contributors. 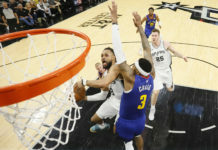 Now, the common criticism of Ujiri was his decision to give JaVale McGee a four-year, $44 million deal following the 2012 playoffs, and that’s fair; McGee never came close to living up to that contract. But you can’t criticize it without taking into account the situation the Nuggets were in at the time of the deal. 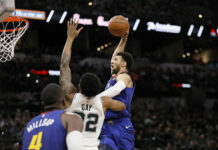 McGee had just come off an electrifying seven-game serious against the Los Angeles Lakers in which he averaged nearly nine rebounds, 10 points and three blocks a game; he was a hot commodity with a ton of upside and potential. If the Nuggets didn’t give him that contract, somebody else was. But, with all that said, it’s time Nuggets fans stop blaming the team’s fall from grace on the decision to let Ujiri leave for Toronto. Yes, Ujiri is a great GM and he deserves every ounce of credit his gotten, but he’s not the end all be all. In fact, the guy the Nuggets tabbed to replace him is pretty good himself. Everybody looks towards the hiring of Brian Shaw as a major black mark on Tim Connelly’s resume, and there’s no denying that it was a failed decision, but what about Jusuf Nurkic, Gary Harris, Nikola Jokic and Emmanuel Mudiay? You couldn’t have walked away from the last two drafts with a much better haul than that. The Denver Nuggets, as people love to say, are in rebuilding mode, and Connelly is doing it the right way. With the young nucleus he’s brought into the organization, this team will continue to grow together under coach Michael Malone. The results may not present themselves in year one or two, but in due time, the Nuggets will be right back where they left off. So when the Nuggets head to Toronto on Thursday to face Masai Ujiri and the Raptors, stop looking to the past and start looking to the future. There’s something special brewing in the Pepsi Center.